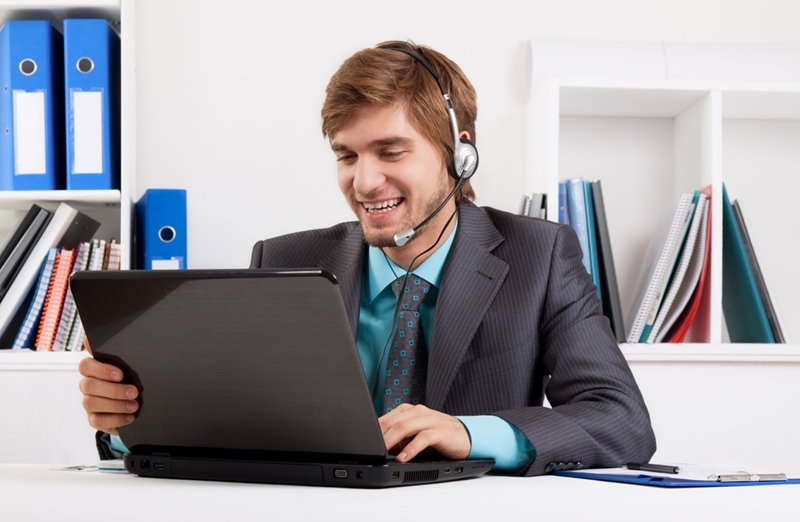 Blog : Are video interviews worth the effort? Just in case in you didn't have enough on your plate with standard job interviews, there's now a whole new trend to worry about: video interviews. Think a regular job interview, but with the added hassle of worrying about Skype logins, internet connections and how to position a laptop webcam so it doesn't double (or triple) the amount of chins you have. As with any good trend, you may as well jump on the bandwagon and give it a go. Along with helping your business look somewhat trendy (transmit from the bean bags so you look cool, double points for any sneaky shots of the office dog too), it can actually be really useful. Say your ideal candidate is in another city, state or even country, getting them on camera is a great way to get them in the room with you and see if they're the right fit. Here are some ways to make the extra effort worth it. Candidates aren't the only ones under pressure to choose a suitable space to film from. As it's up to employers to impress candidates, you don't want to do anything that could reduce their faith in your ability. Try and pick a meeting room if possible, and ensure you're comfortably framed on the screen before you dial in. No candidate wants to watch you struggle with technology. You should also check that the space you choose has a decent internet connection. Some offices have weird black spots where the WiFi just won't reach, so test that beforehand. Video interviews are a bit more bandwidth-intensive than other Skype calls or internet functions, so it pays to be aware. In many cases, you want to look like a company that is capable of using new technology in appropriate ways, unless you want to be judged by uppity millennials. Instead of simply video calling, take the chance to add more cool stuff into the call. With screen sharing programmes, you can show candidates some of the software they'll be working with, projects they may be working on or any other relevant information. Wireless headsets don't look cool, but they will improve audio quality. Video interviewing is also much more interactive, using technology to enhance the regular interview process, rather than just acting as a stopgap solution for a candidate residing in another state. So, rather than get all antsy about the extra bit of admin it takes, treat these interviews as an opportunity to change the way you talk to candidates.